Sascha Wyss is a native Swiss. He inherited the interest in architecture from his father, who was an architect, and was introduced to the wonders of nature by his mother and grandfather, with whom he hiked from childhood on in the Swiss mountains. And so it’s also these two areas, who are the most covered motives on Saschas photographs. Sascha received his photographic education at the College of Southern Idaho, where he visited two semesters black and white photography. He was very much inspired by his teacher, Russel Hepworth. Starting his photographic career still with film and a Minolta 700si SLR, Sascha belonged to the early adopters and switched in 2003 to digital. Read more about his latest camera system in „What is in my bag?“. 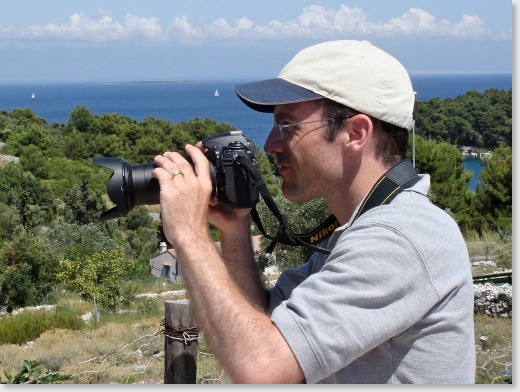 In the last years extensive business travel made it possible for Sascha to see many beautiful places all around the world and his camera equipment was on every trip with him. Still, his most favorite place on earth are the national parks in Utah, where he returns again and again. The act of making a photo is today as normal as making a coffee - every cell phone has a camera and so we all walk day in day out around armed with a camera and make photos of whatever catches our attention. In addition through the blessing of digital photography we do not have to consider costs anymore - we can shoot as much as we want and it’s free! As positive as this all is, the downside is that we drown in tons and tons of photos, and finding the real jewels gets more and more difficult. But not only finding a real work of art gets more difficult, also producing one. Then the temptation to shoot hectically five shorts and hope one of them will look well, instead of looking closer and to make this one shot where just everything is right, is always around. We might have highly advanced digital cameras, great software to edit the shots and processes like HDR which produce shots not imaginable a few years back, but still, the most important „equipment“ is the eye and the most important skill is taking the time and to really see what is around us. Exactly this is what makes photography such a great activity, as it forces us in this busy times to stop and look around. If we do it, we will discover beauty all around us and also there, where we expected it the least. Let me show you on this website the beauty that I discovered and let me inspire you to go out yourself, and start looking at the world with different eyes!